Traverse some of the most scenic railway lines in the world as the Golden Eagle Danube Express weaves its way through tunnels, across viaducts and over mountain passes. 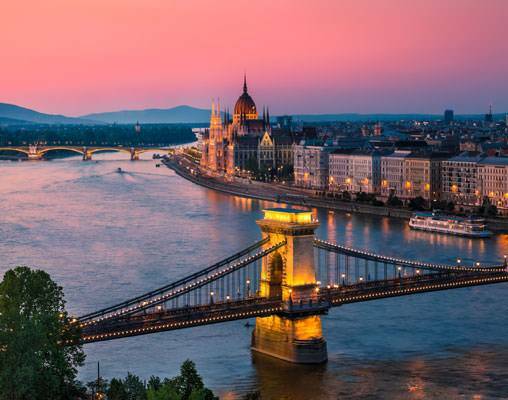 On arrivals day in Budapest, you will be met at the airport, train station or river ship landing stage and transferred to the Four Seasons Hotel Gresham Palace for a two-night stay. Enjoy a welcome reception dinner in the elegant surrounds of this art nouveau landmark, with its panoramic views across the River Danube, where you can meet your fellow travelers on this highly-anticipated journey. Budapest is two cities separated by the Danube. The old city of Buda and the imposing Royal Palace dominates the city with stunning views across the Danube to the commercial heart of Pest. Our city tour includes the Royal Palace, St. Mathias Church and a panoramic view of the city from Gellert Hill. We will also see the Citadel, the Opera House, St Stephen’s Cathedral, Heroes Square and the City Park. The rest of the day is at leisure where you can stroll along the banks of the Danube, visit the historic Great Market Hall with its endless variety of delicious foods and wines or head to one of the city’s famous thermal baths for a rejuvenating dip. Alternatively, you can relax at the hotel and indulge in the hotel’s luxurious spa with infinity-edge pool or make use of the state-of-the-art fitness center. 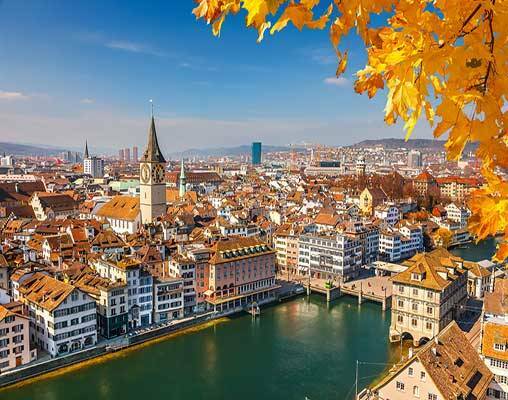 The stunning capital city of Austria enthralls visitors with its rich heritage. A seductive metropolis of elaborate palaces, renowned coffee houses, classical music and enchanting opera. 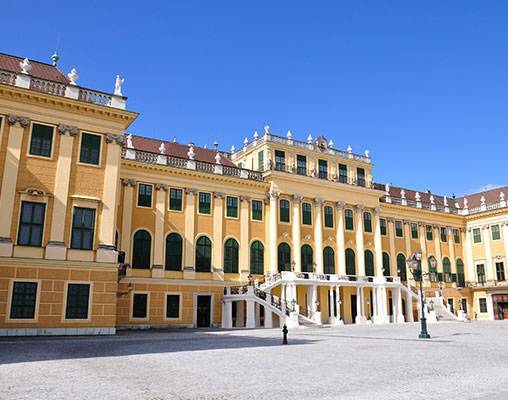 Today’s program will allow you to sample the lively Naschmarkt, home to over 100 food and antique stalls, the famous Schönbrunn Palace, or free time to explore yourself. Today will be one of the real highlights of the journey as we depart from Vienna in the morning and travel across central Austria and into the Alps on an incredibly scenic morning. Cameras at the ready as we climb over the Semmering Pass with its 16 viaducts and 15 tunnels, through the famous skiing village of Kitzbuhel to Jenbach, where we pause after lunch to take the steam rack railway which climbs 1,400 feet to the picturesque Lake Achen (Achensee). On returning to our train, we continue the short distance to Innsbruck, capital of Austria’s western state of Tyrol, a city in the Alps that has long been a destination for winter sports. 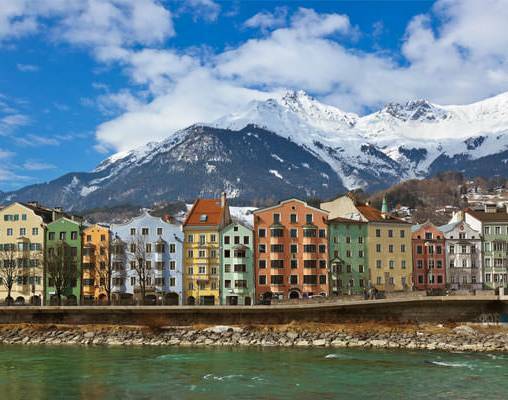 Innsbruck is also known for its Imperial and modern architecture. The Nordkette funicular, with its futuristic stations designed by architect Zaha Hadid, climbs to 2,256m from the city center for stunning bird eye views of the surrounding Alpine terrain. After leaving Zürich, we pass along the Lake of Zug and the Vierwäldstattersee (Lake Lucerne), literally Lake of the Four Forested Settlements, before starting the very scenic climb to the St Gotthard Pass. 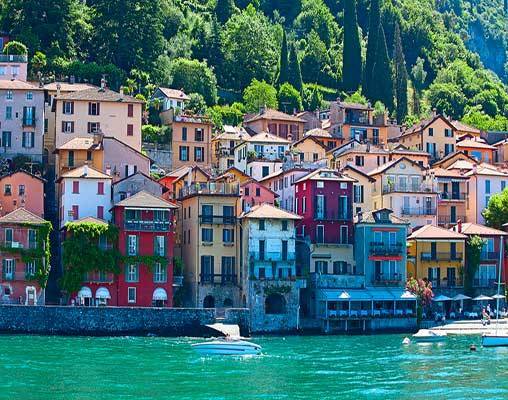 Once through the old St Gotthard tunnel, we descend through Lugano to Lake Como in Italy, where we stop for lunch on the Lake. This morning after running along the south shore of Lake Garda we arrive in Verona. Famous for being the setting of Shakespeare’s ‘Romeo and Juliet,' we enjoy an informative walking tour of Verona’s famous sites, followed by a cellar visit to sample some of the region’s famous Soave wines. 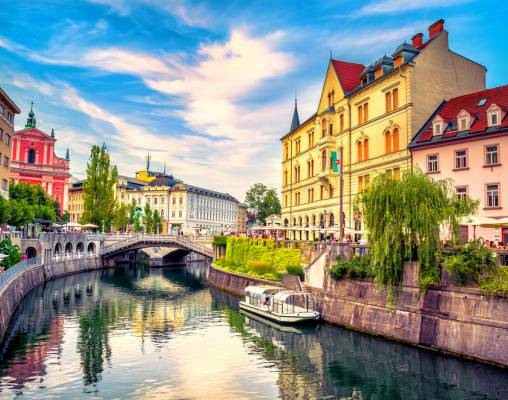 From here we travel onto Ljubljana as we have lunch on board and discover a delightful combination of ancient architecture and a youthful culture. Our afternoon tour includes visits to Preseren Square, Three Bridges, and Dragon Bridge. We leave Ljubljana at breakfast time and head south towards Mestre where our train curves to the left onto the 3-mile causeway across the Venice Lagoon and into Venice Santa Lucia station located on the Grand Canal, arriving after lunch. We say farewell to our train crew and transfer by boat to the five-star Danieli hotel for a two-night stay. The hotel enjoys a spectacular location and is only a short stroll from St Mark’s Square, the Doge's Palace and the Bridge of Sighs. Venice is a truly captivating and romantic city; its unrivaled beauty takes away the breath of first-time visitors and regulars alike. We have the opportunity to take a walking tour around the highlights of this spectacular city. Walk through the winding lanes beside the Grand Canal to St. Mark’s Square, which for 1,000 years was the heart of Venetian life. We also see St. Mark’s Basilica and stroll through the Rialto Market. Alternatively, enjoy the city at your own pace today. 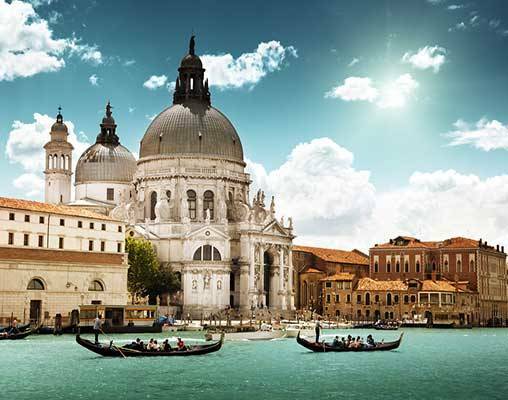 Perhaps take an iconic gondola ride in the Basin of St. Mark’s and along the Grand Canal or stroll through the artists’ district of Dorsoduro, stopping to take in the city’s most breath-taking views from the Accademia Bridge. Simply enjoy the city at your leisure. In the evening we will enjoy a farewell reception dinner, giving you the opportunity to reflect on your journey through this beautifully scenic part of Europe. On the final morning following breakfast in the hotel, you will be transferred to the airport for onward departures. There is also an option to extend your stay in Venice for additional nights to explore more of this fascinating city. Heritage cabins are 33 square foot private compartments that include a full-length couch for daytime seating (converting into an upper and lower berth in the evening), a large picture window, clothes hanging storage and power outlets, and remote controlled air-conditioning. Toilet and shower facilities are located at opposite ends of the Heritage cars. Deluxe cabins are 83 square foot private compartments that include a private en suite bathroom with cubicle shower, two armchairs and a free standing chair for daytime seating (converting to two beds for the evening), a large picture window, full-length wardrobe and power outlets, and remote controlled air-conditioning. Superior Deluxe cabins, with private en-suite facilities, offer the ultimate in European rail accommodation regarding space, facilities and comfort. Limited to just 4 cabins per departure, each cabin offers comfortable daytime seating with a full-length sofa and two additional chairs. The large cabin also benefits from two full-size picture windows, one of which is openable to add to the bright and airy feel of the interior. Each evening the cabin is transformed into a luxurious bedroom with a UK-standard King Size bed. All cabins have, as standard, a large double wardrobe with excellent storage space, individually controlled air-conditioning, lighting with dimmer switches, individual reading lights, in-cabin Wi-Fi and USB ports, power sockets and a safe. Enter your details below if you would like to be notified when 2020 dates and prices are available for The Golden Eagle Danube Express - Grand Alpine Express. Prices are correct at the time of publication, however are subject to change at time of booking. Prices are land-only, per person based on double occupancy. Itinerary for 2019 departures may vary, please speak to a rail specialist for details.